With over 30 years of experience in education, Ratna Reddy is an accomplished and visionary educationist who has pioneered new-age education in Hyderabad. From Children’s Recreation Center and CHIREC Preschool in 1989 to India’s premiere institution in 2018, CHIREC has helped nurture global citizens who are changing the world for the better. As the Founder Director of CHIREC, Ratna Reddy oversees the Kondapur, Jubilee Hills, and Gachibowli Campuses, which have an aggregate of 3,750 students and 480 teachers on their rolls. Alongside her commitment to providing globally-benchmarked K-12 education to her students, Ratna Reddy places the professional development of CHIREC’s faculty as a priority. She has invested significant time and resources in providing CHIREC’s faculty with opportunities to integrate the best international pedagogies and practices within their classrooms. She has been committed in her endeavour to ensure continuous innovative and adaptive learning by the faculty to bring meaningful benefits to students and the entire school community. In her capacity as Director, Ratna Reddy took the simple idea of clubbing content from an Indian Curriculum with the best of teaching practices from around the world to build a school that grooms global leaders. Under her leadership, CHIREC has provided an environment that encourages growth, fosters creativity, exploration and discovery. Ratna Reddy works closely with students and faculty to ensure that the curriculum broadens students’ intellectual, physical and emotional horizons to build a strong spirit of integrity, compassion, and generosity. 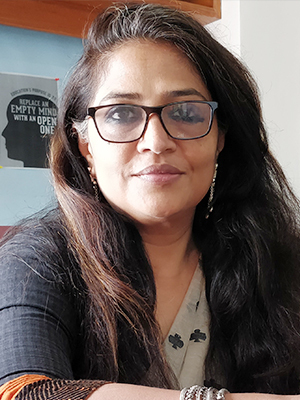 Ratna Reddy believes that school life must be a quest for meaning that goes far beyond the limitations of conventional curricula, textbooks, and standardized examinations. She hopes that graduates of CHIREC learn to recognize and manage the intricacies of our world and provide them with the skills and attitudes to take responsible action towards our collective future. Ratna Reddy received her B.Sc. in Home Science and a Masters (M.Sc) in Child Development from A. N. G. R. University (Hyderabad, India). She then went on to receive her M.A in Early Childhood Education from the University of Iowa (Iowa, U.S.A.). Ratna Reddy is a member of the National Association for the Education of Young Children, U.S.A, the Indian Association of Pre-School Education, the Association of Montessori International, the CII – India Women Network, FLO, Hyderabad, and a lifetime member of the Administrative Staff College of India, Hyderabad. For having pioneered the provision of liberal, engaging and enabling education for students of pre-primary to class XII, Ratna Reddy has been conferred numerous national and international awards. Youngest recipient to be conferred the Dr. Paidi Laxmaiah and Dr. P. L. Sanjiva Reddy Memorial Talent Award 2017 in the field of education. Invited to speak at the National Women Parliament on the topic ’Building your own Identity and Vision for Future’ in Feb, 2017. Won the ASIAONE Award for the “Most Influential Leader” across Asia in the year 2016. Felicitated for her contribution to education by Andhra Mahila Sabha P. Obul Reddy Public School on Teachers’ Day 5th September, 2015. One of the three Women from India to win the prestigious “International Women’s Entrepreneurial Challenge Award” in the year 2014. Awarded “Outstanding Achiever Award” by FICCI Flo in 2013. Iffat Ibrahim is one of the country’s most prominent and highly regarded educators. In her 30 years as an educator, Ms. Ibrahim has served as a Lecturer, Programme Coordinator, Headmistress, Vice Principal, and Principal. Under her leadership, CHIREC International has received various awards. 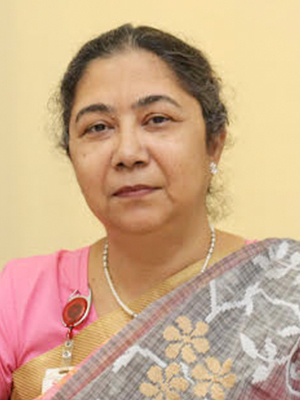 At CHIREC International, Iffat Ibrahim has worked with curriculum committees in most academic disciplines and has experience in both student and faculty assessment techniques. She has directed several programs, including the CHIREC MUN, the Online Student Council Elections, Digital Library, initiated class Websites as a means for teachers to upload homework and information about specific class activities. Her commitment to the balance between students’ academic achievement, and their personal development, has carried CHIREC International through its first ever International School Award by the British Council. Iffat Ibrahim received a B.Ed from Annamalai University (Tamil Nadu, India), a B.Sc in Zoology and an M.Sc in Zoology from Delhi University (Delhi, India). 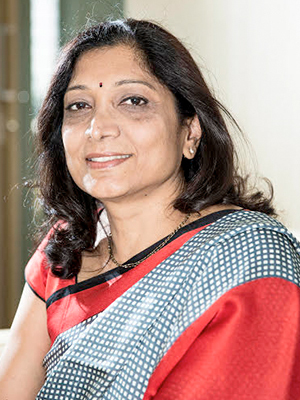 She has been recognized as the Most Influential Principal of an Indian School by the World Education Congress in the year 2016, and was awarded the “Acharya Devo Bhava” in commendation of her teaching practices and pedagogical innovation, motivation to learners and outstanding services for the cause of education by Brainfeed Magazine in 2016. Mr. Omkar Joshi brings an abundance of varied and valuable experience to his role as Principal of the International Section at CHIREC International, having worked with the CBSE, State Board, Cambridge, and International Baccalaureate curriculum for more than 35 years. Mr. Joshi came to CHIREC International after a colorful career as a Mathematics teacher, Senior School Supervisor, IGCSE Coordinator, IBDP Coordinator, Vice Principal, and Principal. In his work as Principal of the International section, Mr. Joshi has encouraged CHIREC Community outreach programs to become more creative and, under his direction, students from CHIREC International have reached out to visually challenged students to train them to take part in the CHIREC MUN. Under his stewardship, CHIREC students also hosted a mini-MUN for the students from the school for the visually challenged. Other initiatives include “CHIREC Library on Wheels,” a novel idea to take books to the underprivileged students with the aim to develop a love for books, and the “Eat to Feed” program, an out of the box business project that aims to feed at least 100 underprivileged students mid-day meals for one whole year. An ardent believer in the inherent strengths and the abilities of students, Omkar Joshi has advocated and implemented activities and programs that provide opportunities to students to develop much needed 21st century skills. Student-led projects have helped inculcate practical experience, teamwork, respect for the views of others, confidence, creativity, communication skills, and a far better understanding of the global issues. During his tenure as an educator, Mr. Joshi has helped guide teachers in adopting creative teaching ideas and developing a better understanding of the students minds through the Mentor-Mentee, Circle-time, and professional development programs. Omkar Joshi received a B.Sc degree in Math and an M.Sc degree in Applied Math from Karnataka University (Karnataka, India). He went on to earn a B.Ed degree from the Annamalai University (Tamil Nadu, India), with a specialization in Mathematics.